Ever get the feeling your protein shake isn’t protein-y enough? Well, some might say the solution just isn’t cricket, but it is. It’s cricket flour. Yep, the insect. Give your protein shake a protein boost with cricket flour. While it’s called cricket flour, it’s really a high-protein additive (68 per cent protein) and it’s even gluten free. Perfect for your ‘new year, new you’ post-workout recovery. Shop owner Jeremy Claasen was not sure how edible insects would go down in Blenheim. 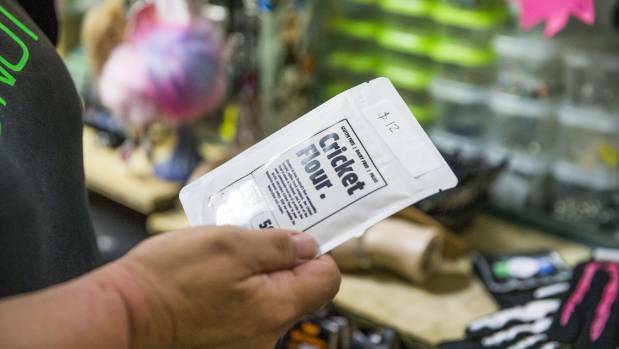 Judy and Jeremy Claasen have started selling cricket flour, along with a host of other edible insects, from their new Blenheim store, The Shop That’s Not. Salted-caramel scorpions, barbecued grasshoppers, chili chocolate lotus have been flying off the shelves in the Queen’s Market Mall store since they opened eight weeks ago. They sourced their products from Crawlers, based in Auckland, which imports insects and insect products from Thailand. 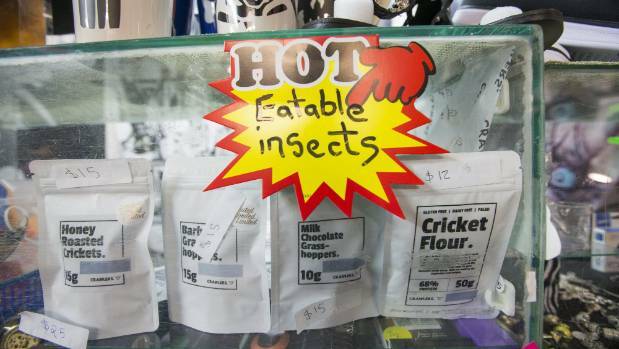 Edible insects are flying off the shelves in Blenheim and “everybody” is trying them. The Crawlers website said it took approximately 1000 crickets to make 100 grams of cricket flour. Cricket flour was 100 per cent natural with no preservatives, artificial colours or flavours. 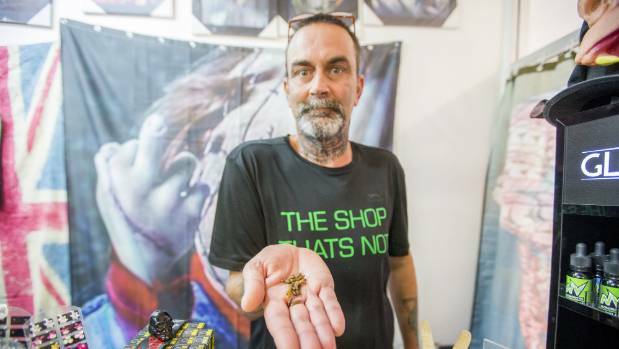 Judy Claasen said they asked everybody who came into the shop if they wanted to try an edible insect, and about 90 per cent were willing. 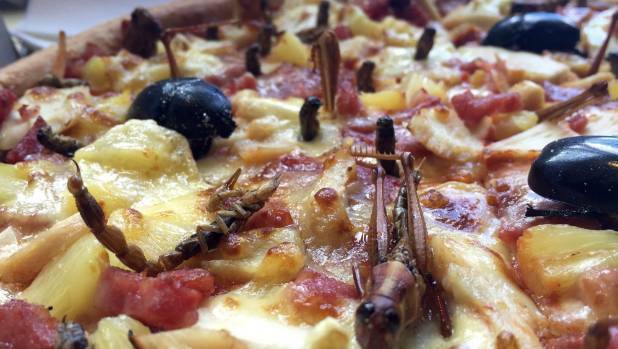 The Hell Pizza bug pizza with edible insects that didn’t make it. But you can make your own insect toppings at home. The crunchy critters had been selling well for Christmas and birthday gifts, Claasen said. “A woman bought crickets for her son for Christmas … he was 11 I think and he enjoyed them so much he came back the next week and bought another packet,” she said. Claasen said people had been “pleasantly surprised” with the taste. There’s a new source of protein available at The Shop That’s Not, in Blenheim, if you’re brave enough. “If you didn’t know you were eating an insect, you’d think it was like a nice biscuit,” she said. Claasen said she wanted her store to stand-out from the crowd. 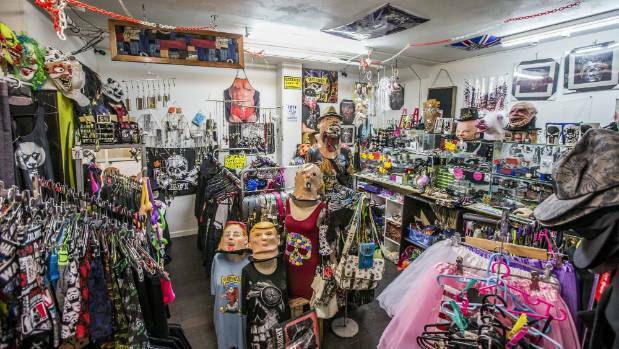 “Our aim is to sell products no-one else in Blenheim has,” she said. 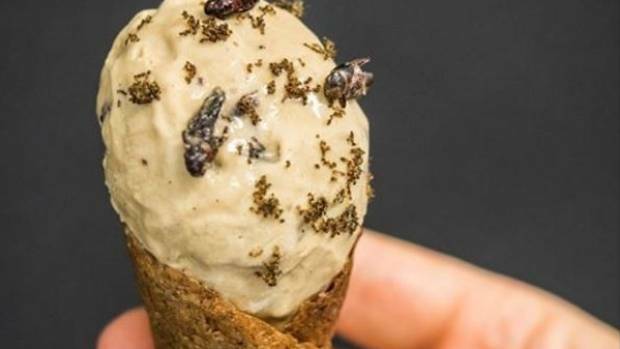 Dunedin Polytechnic Food Design Institute student Funn Boyle created an insect ice cream in 2016. Partner Jeremy Claasen said he wasn’t sure how the edible critters would go in a town like Blenheim. “It’s different eh, especially in a little conservative town,” he said. Although, he was thrilled the insects had been going so well. 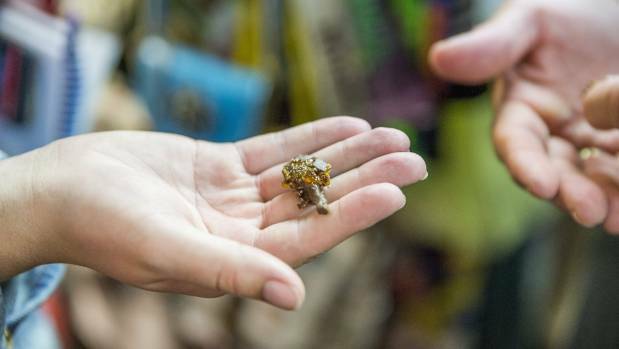 The Shop That’s Not, in Blenheim, is selling a variety of edible creepy crawlies. He said the tarantulas had proved the most popular of the lot so far. The pair were planning to expand the variety of insects instore because the first batch was successful. Judy Claasen wanted to sell edible black ants, meal worms, scorpion lollipops, ant lollipops, cricket lollipops and mealworm lollipops. The insects had a shelf life of 12 months and had been collected fresh from farms and cleaned, cooked, dried and packaged, Claasen said. The cost of the edible crawlies ranged from $12 to $25. Insects from more than 1900 species form parts of the diets of roughly 2 billion people worldwide, according to a study by the Food and Agriculture Organisation of the United Nations. The crunchy critters were a good source of protein, iron and calcium. One warning: if you are allergic to prawns and shrimps, crickets and locusts will cause you problems.